← Have you found a wedding ring? Roadworks and temporary traffic lights have caused major bottlenecks through Broomhill this morning. Emergency work by Northern Powergrid is taking place to repair a cable fault outside On-A-Roll sandwich shop causing power loss to local businesses. Only one lane of traffic is able to pass through at a time. Earlier today, the 51 bus was diverted in both directions, bypassing Weston Park and the university stops. The map on roadworks.org shows progress with the repair, although there is no firm indication yet how long it will take. Update 2pm: reports that Broomhill is now clear of the works and there are no longer any major hold ups. 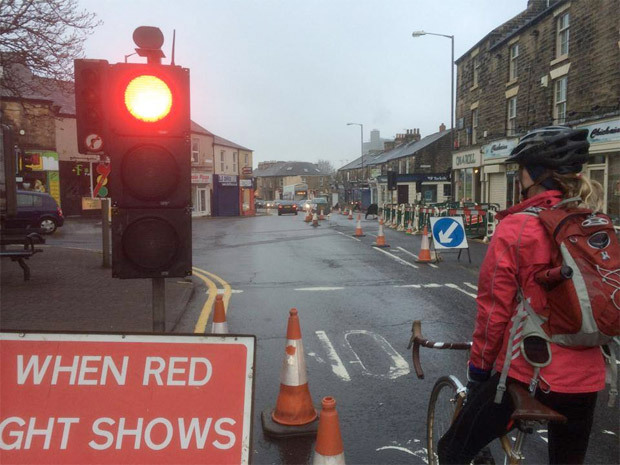 This entry was posted in news, roadworks, traffic, transport and tagged 51 bus, broomhill, crookes road, roadworks. Bookmark the permalink.